Mesquite Ridge Outfitters offers Big Game, Exotics, Waterfowl, Upland Bird and Hog hunting in Quinlan, TX. The goal of Mesquite Ridge Outfitters is to create the best hunting experience possible. Whether you want to hunt whitetail deer, red deer, elk, oryx, addax, hogs, ducks, dove, quail or pheasant MRO wants this to be an unforgettable experience. All you need is your gun and shells. At Mesquite Ridge Outfitters we do it all. We have dogs but you are welcome to bring your hunting buddy. Our Professional Guides are experienced, knowledgeable and courteous. They are committed to ensuring a successful hunt. Our guide service is completely mobile ensuring each party new birds and quality hunting. If you are ready to do some serious hunting call 972-200-9292. Visit our Hunting Packages page for more details and pricing. 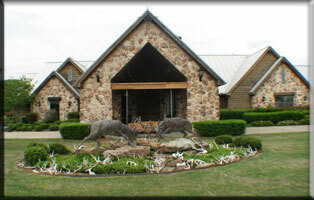 Be sure to ask your guide about Mesquite Ridge Hunting Club which offers options and opportunities on packages. The package you choose can be with or without lodging and various numbers of hunting days. Be sure to visit our Photo Gallery. We have some great photos of hunters, game and dogs. Your photo with a trophy kill could be in the Gallery soon. Call 972-200-9292 for additional details or information.